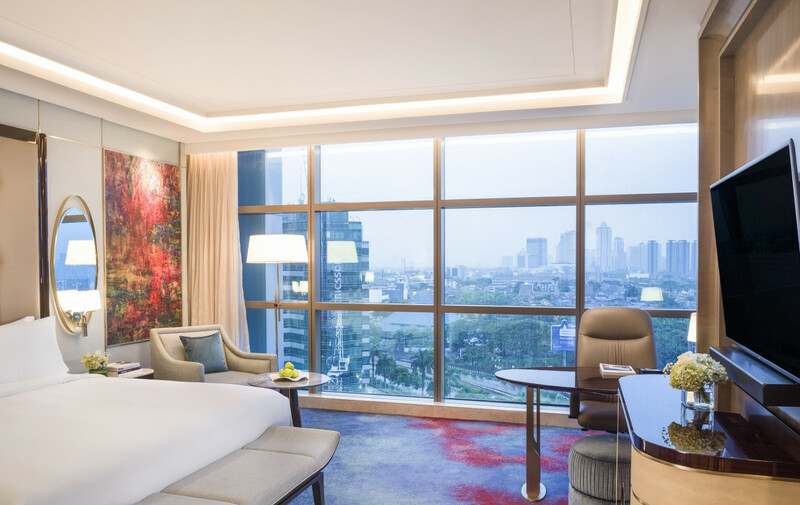 The InterContinental Hotels & Resorts has opened its latest property in Pondok Indah, South Jakarta. Conveniently nestled within a complex that includes a shopping mall, office tower, family-friendly activities and golf course, the InterContinental Jakarta Pondok Indah features 311 rooms and suites, as well as amenities like Club InterContinental, meeting facilities, Inaria Spa, the Fitness & Movement Studio, an outdoor playground area on the eighth floor called Planet Trekkers and direct access to Pondok Indah Water Park. For foodies, the hotel has all-day dining restaurant Sugar & Spice with a teppanyaki "speakeasy" and the Aqua Lounge for those looking to indulge in cocktails by the pool. As the wedding industry is big in Jakarta, the hotel is looking to compete in the market with its grand ballroom, which can accommodate 3,500 guests. It is equipped with an outdoor terrace suitable for a wedding ceremony and an in-house team is ready to provide "stress-free wedding planning and support".